How would you like to turn your love for teaching others into a digital business? 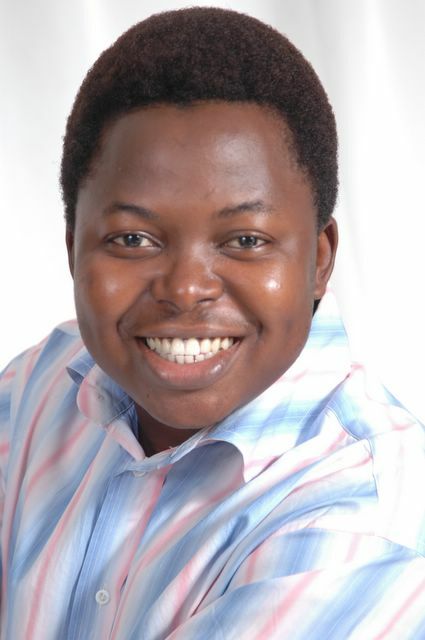 This case study shows how Adeolu Akinyemi grew his online authority from his passion for people development. Adeolu Akinyemi is one of the first motivational speakers whose trainings have made the most impact in my life. The first time I heard him teach was back in school, in 2010. And his topic was on Financial Intelligence, relaying his story of how he earned a ton of money, but still didn’t know what it meant to live in financial abundance. As an entrepreneur committed to developing others through his career, live trainings and blog posts, Adeolu has gone on to win several global and national awards for innovation, peak performance and exemplary professionalism. And that’s aside the fact that he’s one of the top public speakers internationally. Adeolu runs DeoluAkinyemi.com and a more in-depth look at how he built his authority from his passion is today’s Talentpreneur story. After acquiring his degree in Electrical Electronics Engineering, Adeolu made the decision to not practice as an Engineer but instead get engaged in People Development. This led to his high paying job as A Human Resource Professional. However, he soon realized that despite the high salary he earned, his finances crawled. His self-education and his constant determination to understand the reason for this is what has now shaped his message that’s centred around financial intelligence. There was more to earning a living than just making a lot of money. The key is in mastery. Regardless of what digital business you want to build, and how much you earn, the only way to grow it is by being smart with your money. You only become financial intelligent and enter into a state of abundance when your expenses are covered by what you earn without working (your passive income). In other words, as a digital entrepreneur, the best way to really grow your finances is by creating a business that makes you money without you directly being involved. Now this doesn’t mean you should start just any kind of business for the sole purpose of money. It has to be backed up by your passion, talents and skills for you to follow through with it. When you sell services, you directly exchange your time for money. While it is possible to make a lot of money doing this, money is only earned when you work. When you sell products, you have the ability to earn without a direct exchange of time. This is the reason why some service based businesses diversify by also creating products. As many other Talentpreneurs, Adeolu also wanted to express himself. He felt he had a lot of value to give, and needed a platform to express it. However, he also understood that by sharing what you know in a way that’s valuable, you eventually become a better person. Many of us get started online with the intent to receive, regardless of how legit it is. We only see what we can draw out, without necessarily weighing just how badly it could affect us. And when this happens, we become disgruntled when we get very little in the first few months of starting. But the sincere truth is, if you’re just getting started, don’t expect to make a million dollars overnight, or even in the first year. It’s so hard to sustain success when everything that comes in gets consumed. At the same time, it’s super important to be smart about the little you start earning. Because that little is what is re-invested back into the digital business to make it grow into that dream you have. 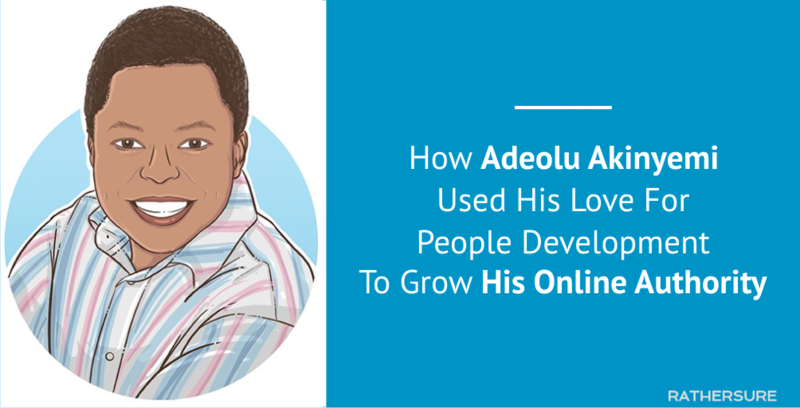 Adeolu has consistently built his online authority over the years through his site. As a professional speaker and consultant, he has been invited to speak at several programs in both the religious and professional space. And I’d add that his offline authority has influenced his online success. 2005 to date is a really long time. And it just looks almost impossible. One of the key elements of a well built website is by making what you sell visible for others to see. This could be through an online shop, or a single landing page that allows potential clients request for your services. This is definitely evident on his Speaking page. Adeolu also holds mentorship programs and uses his website to drive registration, as he did with this mentorship class. Your talents, skills and your financial habits go hand in hand. It doesn’t matter how professionally sound you are, you need to diversify your income. Remember that running a business from your talents and skills doesn’t just put money in your pocket. It also changes you. Are you also looking for a way to express yourself online? Or perhaps you’re already a budding public speaker? How does building online authority sound to you? From Adeolu’s story, he grew his authority by starting a blog, creating valuable content and sharing it in a way that built trust. He did all this sharing his message with people, helping them solve their problems. Like Adeolu, you too can grow your online authority and even earn from it. Let’s make that happen for you. – How to overcome the 3 obstacles preventing you from getting started online. – A 7 day e-course on how to setup your website the right way. – A free gift worth $250 + free coaching to help you get started. No strings attached. No payments required. Just awesome training that’ll transform your life…for free. I'm a content marketer and founder of RATHERSURE. I'm on a mission to help every talented person do good work and earn a living from it online. Let's do this! Work With Me or Follow me: LinkedIn / Google+.